In 2015, we launched the DNI Fund, a €150 million commitment open to publishers of all sizes in Europe to support high-quality journalism through technology and innovation. After four successful rounds, and a myriad of transformative projects across Europe such as La Numérique in France or REMP in Slovakia, I’m delighted to announce the recipients of the fifth round of funding. This time, we’re offering €21.2 million to support 98 projects in 28 European countries. This brings the total funding support so far to €115.2 million. 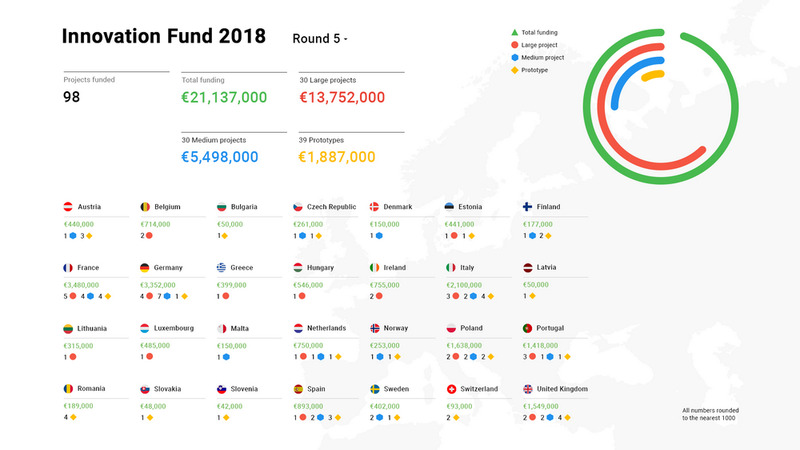 For Round 5, we received 820 applications from 29 European countries—from news startups, local and traditional players, online only publishers, video and audio broadcasters, news magazines, and academics. The wide range of applicants is also reflected in the diversity of the final selection. We’re pleased to note that, of the 30 large projects selected, almost half (14) are collaborations between publishers, startups and academics. When we called for applications, one of the focuses for this round was on monetization and diversifying revenue streams. So we were excited to see several projects focused on "voice," such as audio assistants and mobility-focused applications. Personalization and dynamic pricing approaches are again another important topic for publishers, as is evolving towards subscription models. Last but not least, machine learning is being used at scale in various ways, from automating video recognition and internal processes, to making a better use of evergreen content, as well as saving costs in order to help journalists produce more exclusive content. With €400,000 of funding, Lapresse.be—in collaboration with IPM SA and Rossel SA—will work on new way to deliver news and information through audio where readers will be able to vocally request their newspaper content. Doing this will capitalize on the convenience and ease of reading a paper together with the speed and ubiquity that digital media and natural speech audio can support. Royalty also aims to create a new kind of digital newspaper, using machine learning to deploy an AI-first approach for personalization. Publisher Il Sole 24 ORE is collaborating with Teorema Engineering on this initiative which will see their journalists working alongside AI to give users a highly personalized, and more valuable, service. They were awarded €739,000 of funding. The PinkNews Advocacy Platform is for readers who want to do more, to connect them to charities and activists who are striving to change the world, offering them a number of unique actions to take after reading a news article or watching a video on an issue they care about. With €299,338 of funding, the PinkNews Advocacy Platform will be able to open up a new revenue stream for niche publishers while at the same time helping charities and activists raise money and gain public support for their cause. This media literacy initiative comes from the French magazine Play Bac Presse. With funding of €49,332 they aim to give school teachers the ability to train children in the world of journalism. The project will provide them with a detailed journalistic guide, a library of tools, and an interactive news template to fill and save. It will mean more teachers will be able to generate news experiences in their class without moving location and at lesser cost. Since February 2016, we’ve evaluated more than 4,500 applications, carried out 1,200 interviews with project leaders and offered 559 recipients in 30 countries a total of €115.2 million. It’s clear that these projects are helping to shape the future of high-quality journalism—take a look at the 2018 DNI Fund Report to learn more. There will be one further round of the DNI Fund with applications opening later this year. Watch out for details on the Fund website, where you can also find a list of all funded projects.